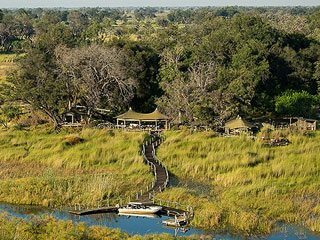 Set on an island in the northern Okavango Delta, Little Vumbura is lovely camp with top quality accommodation and facilities. 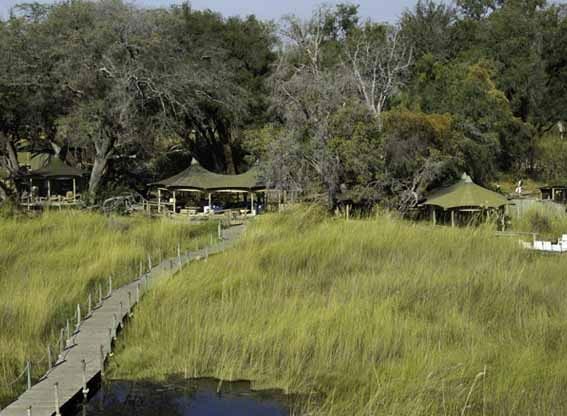 Set on an island in the northern Okavango Delta, Little Vumbura is lovely camp with top quality accommodation and facilities. 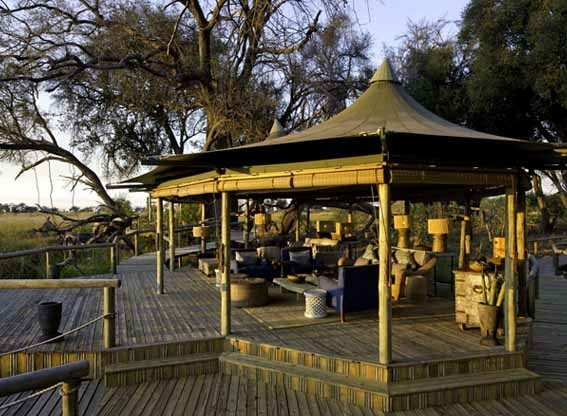 Each of the 6 tents offers space and privacy, an en-suite bathroom and private outdoor sitting area. This is a secluded setting that can be reached only by boat. You’ll benefit from a mix of water and land-based wildlife viewing in this area which is acknowledged to be a superb region for varied game. Aboard a traditional mokoro you’ll glide slowly along the waterways, guided by the skilful poler-guide, coming face-to-face with birds and tiny frogs. Motor boats take you further from camp as they ply the rivers and channels. Hippos and crocodiles are frequently seen. 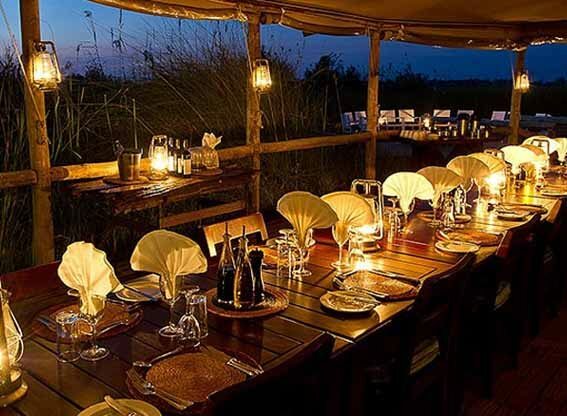 Game drives are exciting, taking in large numbers of game, and night drives reveal a whole new world and animals rarely seen by day. Nature walks allow you to get closer to the environment and give you a chance to develop some bushcraft skills. Each of the tents is a private haven. Doors lead from the veranda into the bedroom which as well as the large bed has a sitting area and writing desk. 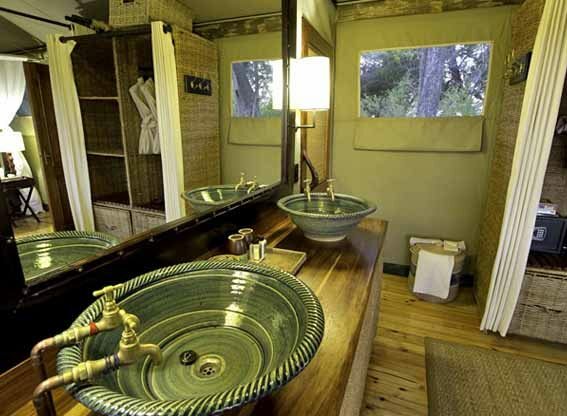 En-suite facilities include a vanity unit with twin wash basins, a shower and flush toilet. 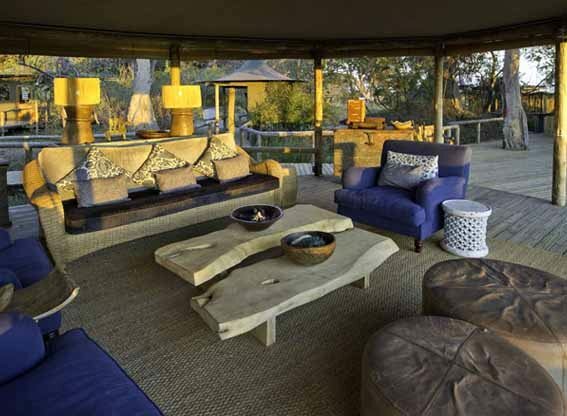 The veranda looks out over the bush and has a cushioned sofa for relaxing in comfort. 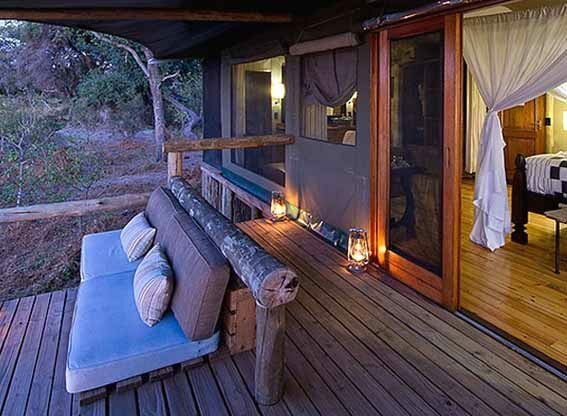 The honeymoon suite has an outdoor bathtub for romantic baths under starry African skies. The welcoming lounge is filled with upholstered sofas and chairs and furniture crafted from reclaimed wood. It’s set on a raised deck and looks out over the water. The long dining table is an impressive sight when dressed for dinner, with folded napkins, polished cutlery and glassware all illuminated by soft glowing lamps. After the meal you can adjourn to the campfire on the stardeck, for a nightcap and some mellow conversation. All of the communal areas are set on raised platforms with views over the watery wilderness, ideal for spotting wildlife. 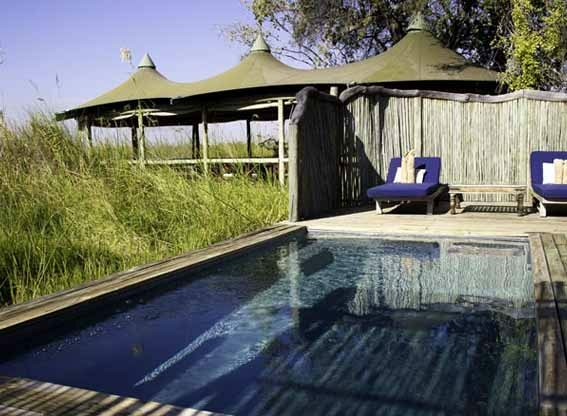 The camp has a plunge pool, sunbeds and a covered deck. 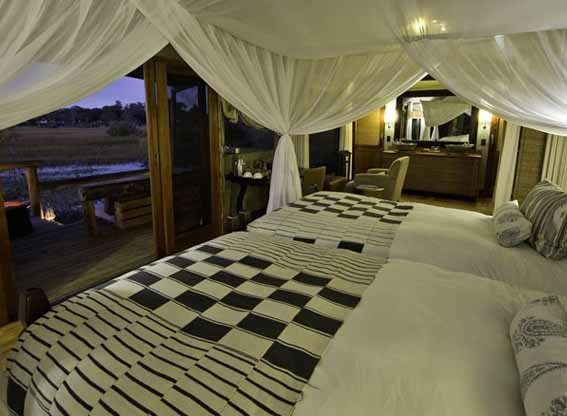 If you fancy staying in even more luxurious surroundings, Little Vumbura’s bigger sister, Vumbura Plains is in the same private concession. Children aged 12 years and over are welcome. Families with children between 6 and 12 may be accepted and need to book private activities. There is a 2-bedroomed suite for families. The deluxe tented rooms are pleasantly furnished in neutral colours, with indoor and outdoor sitting areas and en-suite shower rooms stocked with toiletries.